Hey! So I bet you're here because you want to be let in on my secret to gorgeous, long, thick hair? 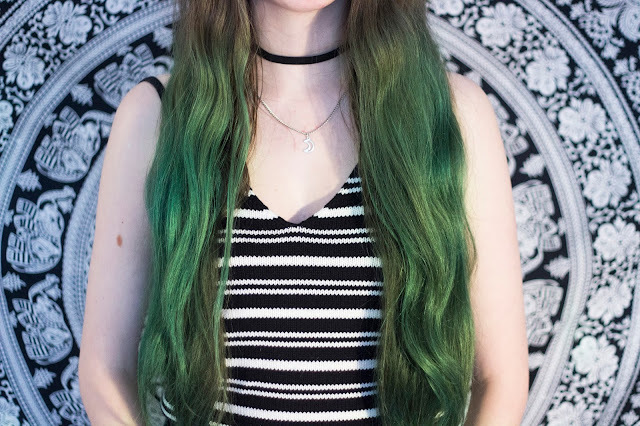 I'm forever getting compliments and questions regarding my waist length hair (amongst some silly, negative comments about the green coloured dip-dye, but we'll forget about that haha) such as how do I make it grow so fast, how do I keep my hair healthy, what products I use and so on! Unfortunately I can't tell you how to grow your hair faster, my sisters and I all have super long hair and it just seems to be in our genes, though I can tell you how I maintain my soft, long hair, below! 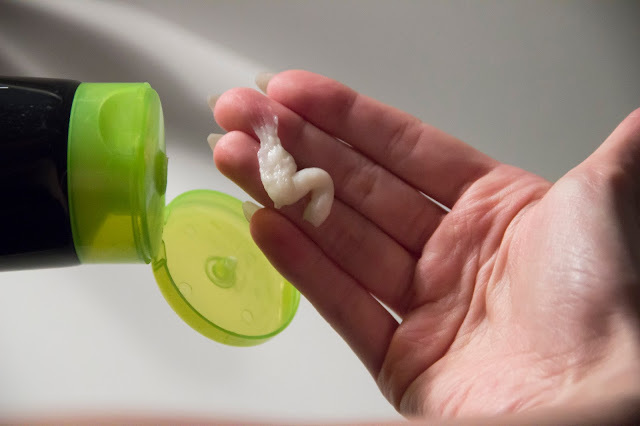 Although when I do take care of it, I want it to be properly nourished, and left feeling incredible and looking beautiful, so I never skimp on hair care products or brands. I have the Envy blow dry set which includes a shampoo, conditioner and a dual fix, which is a pre-wash hair treatment and all I can say is that if God existed and he gave us a single, solitary gift; THIS. WOULD. BE. IT. The boxes make it seem like a high end product, too, and I think they'd be amazing as a gift. In the blow dry box set, as previously mentioned, you get three products which all work so well. 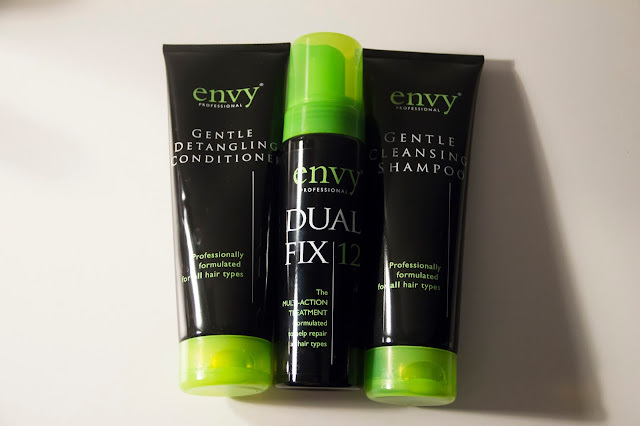 The first product (in the order you would use them) is the Dual Fix 12 multi-action hair treatment which you apply on un-clean hair from root to tip and then blow dry, just before washing. This comes in a structured pump bottle, and comes out as a white foam. This product, when used on it's own, gives my hair so much volume and makes it super soft and I can definitely tell when I haven't used. Although this product this have a pretty big negative effect... It can slightly strip your hair colour! It dulls my colour so much, it is quite a con and does put me off using it, so if you have coloured hair bare this in mind! Now onto the shampoo! It's such a runny, watery consistency which really worried me and made me feel quite apprehensive over the quality of the shampoo. I thought I'd have to use a lot of it, I thought it wouldn't look or feel clean, and so on although I was so wrong. The smallest squirt of this shampoo goes a long way, and it feels incredible in your hair. My favourite thing about this product? (other than the fact it's vegan!) is the smell, it's incredible and it reminds me of Aussies hair care range. Sweet, bubblegum esque smell that actually lasts on my hair! In. Love. Completely opposing the foamy pre-wash treatment, and water based shampoo, this conditioner is so thick and dense. 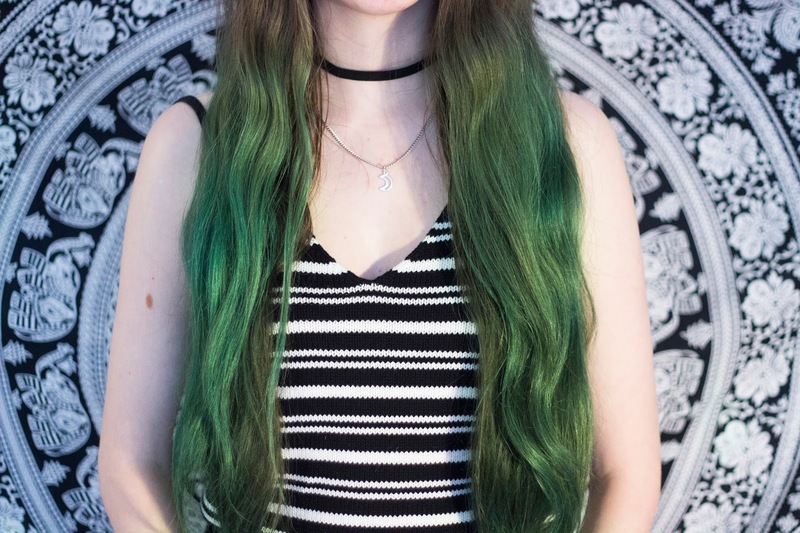 It feels quite heavy when applied to your hair, and takes a little while to completely wash out of the ends of your hair, too. But I swear by this conditioner as my hair has literally never been softer in my life! I'm constantly stroking it now, it's amazing. As well as making your hair as soft as unicorn clouds, it makes it super shiny! I have glimmery bits of green shimmers running through my hair and I feel more like a mermaid-goddess than ever all thanks to this nifty hair care set. Even though it's specified for blow drying, you don't even need to do that in order to feel all of it's benefits! I definitely recommend shunning your current hair routine and swapping it out for this, you won't regret it! Have you tried this before? What do you swear by when it comes to hair care? Let me know!